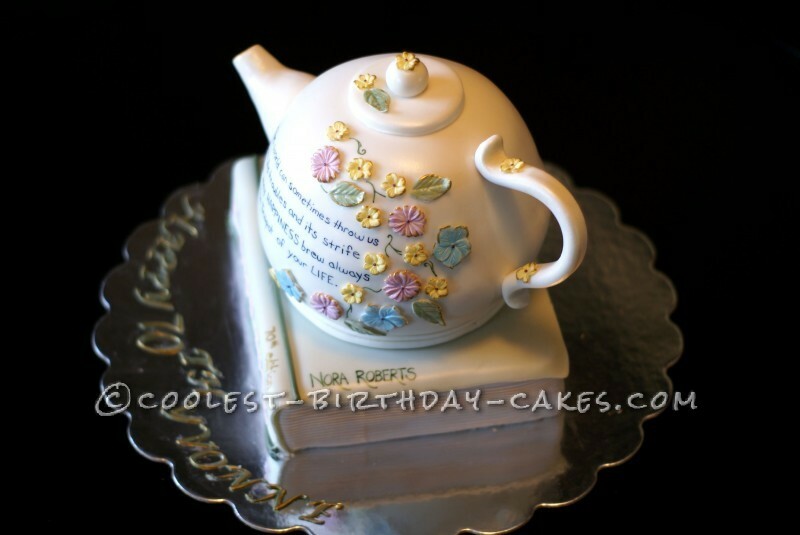 This book and tea pot cake is by far my favorite cake that I have ever done and I hope you guys enjoy my entry! 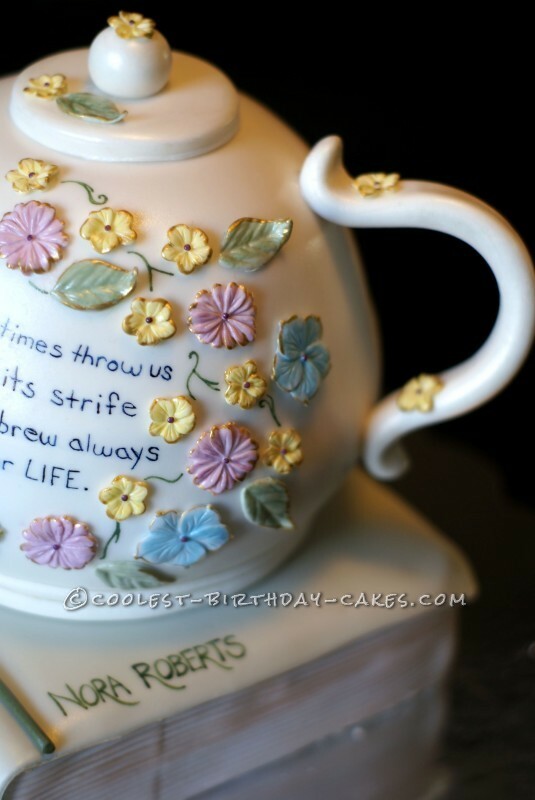 This cake was made for a good family friend who just loves a great pot of tea and a good book. The inspiration was there I just had to get that vision into cake form. So I began with a Pyrex bowl (oven safe). 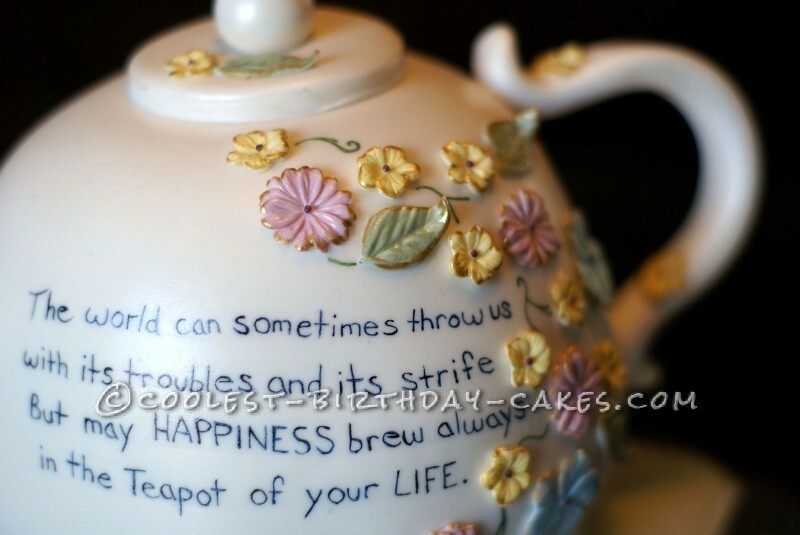 I packed it full of rice krispie treats in order to create the base (lower half) of my teapot. Just a quick tip* Be sure to grease the bowl with a light coating of shortening so that the rice krispie treat form falls out easily. After the lower portion was complete I started into the top half of the pot. The top half of the pot was a cake baked in the same Pyrex bowl. Once cooled I iced the top of the rice krispie treat portion and sandwiched the cake on top making a perfect round shape. The next step is to dirty ice the whole round to get it ready for the fondant. After laying the fondant I assembled some add on pieces ( handle, spout, top). These pieces were crafted out of gumpaste so that they would hold their form. After some drying time I started to put this tea pot cake together. The handle was attached with two toothpicks and some piping gel ( I use the gel all the time as a glue for fondant and gum paste pieces). One toothpick was used at each end of the handle. Next the spout which was attached also with piping gel and one toothpick connecting it to the structure. The lid was simply glued on with the gel. In addition, I decorated this pot with floral molds, edible paints and shimmers. To get the writing detail done and the gold leafing on the flowers I used a very small paint brush. My book cake was a two inch thick cake cut to size and covered in fondant. 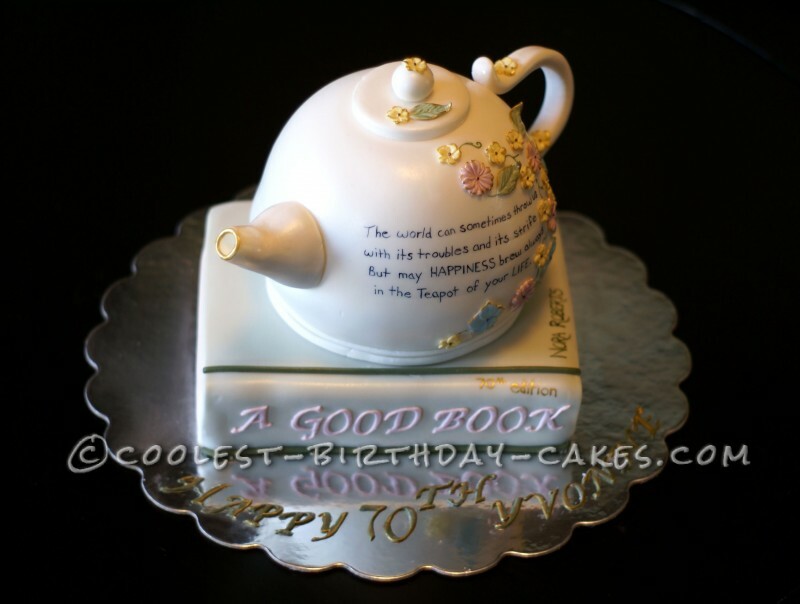 In order to support the tea pot, I used two support straws in the book cake. I spread a small amount of butter cream on the areas that the tea pot was going to sit to ensure a secure cake and that was that! I am so pleased with how this cake turned out and most importantly so was the birthday lady!